Prior to my trip because of a friend’s wedding, I did not think much of Lingayen. While it is the provincial capital, it does not draw as much attention as the often-visited Alaminos for its Hundred Islands, Bolinao for its beaches and lighthouses, and Dagupan for its bangus (milkfish). What I found out, though, is that while Lingayen’s beauty is understated, it is definitely worth exploring, especially for those interested in history, architecture, and culture. And, it is easy to get around Lingayen by foot and by tricycle (fare is usually Php10) and there are many places in the town proper that can easily take up your entire day. Those on a very limited budget would also be happy to know that there are no entrance fees to all these places. Named after the beautiful legendary warrior princess Urduja, Urduja House is the official residence of the incumbent governor of Pangasinan. Thus, I have taken the liberty of calling it the Malacañang of Pangasinan. Urduja House reminds me of a simple but elegant palace. It has a fountain, too! Princess Urduja, according to oral tradition among locals, has ruled the Kingdom of Tawalisi, an area by the shore of Lingayen Gulf and the West Philippine Sea (South China Sea). When her brothers died defending the agricultural communities in the valley of Agno River, she stepped up and protected her kingdom, even from pirate threats from Mongolia and China. 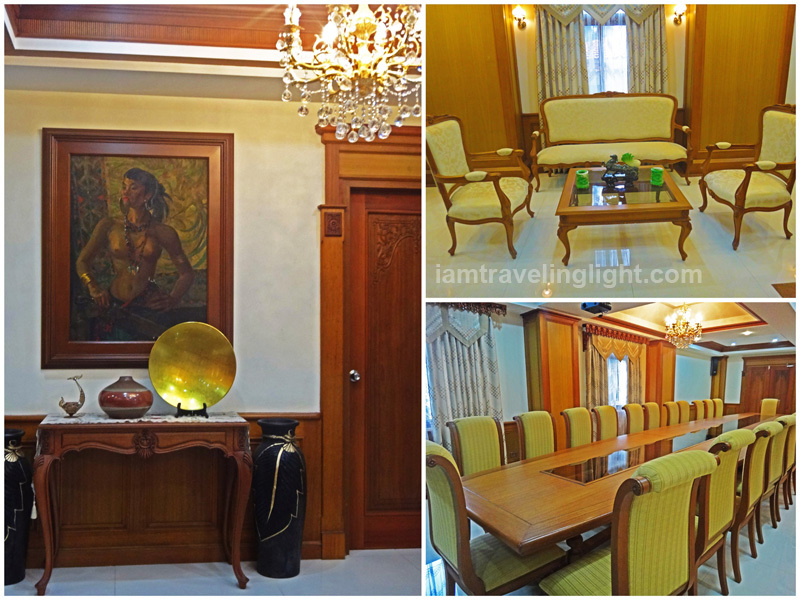 The painting of Princess Urduja by artist Antonio Dumlao can be found inside the Urduja House. Built with a Southeast Asian influence – I recognize Balinese architecture and design in particular – with mostly elegant wooden interiors, and decorated with antique and jade ornaments, Urduja House is a house indeed befitting of royalty. A bit of trivia, though: I noticed that of the list of Pangasinan governors, there is not a single woman. While it’s inspiring that this leader’s home is inspired by a strong woman, it would be nice if there is a female governor who would live here in the future. Both Urduja House and the capitol building are part of the capitol complex, so these two are just a stone’s throw away from each other. 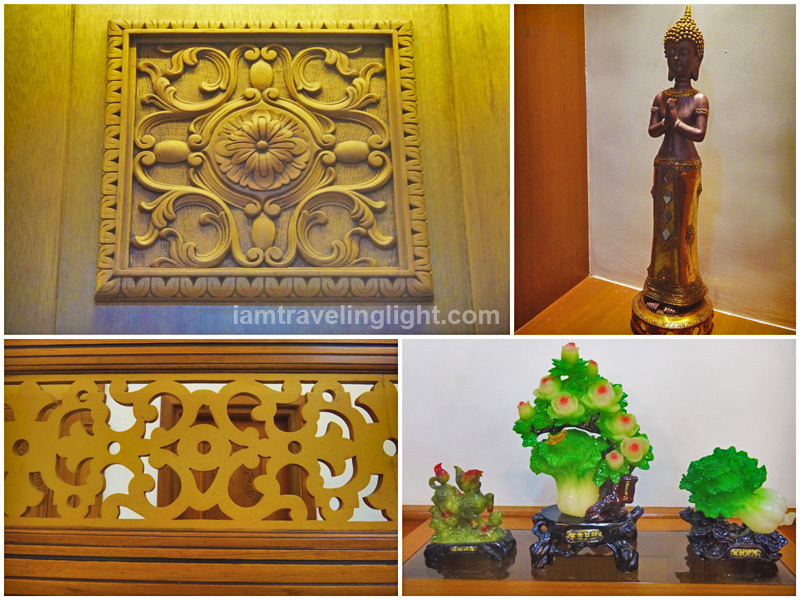 Like Urduja House, the capitol has elegant wooden interiors. I heard by chance from a tour guide in Urduja that the types of wood used in the capitol and Urduja are the same. The design of the capitol, though, is American, with tall, grand columns outside, and arches and a winding staircase inside. It was built before World War II and restored after suffering damage during the war. I’ve seen capitols around the country, from Luzon to Mindanao, and so far this is the most beautiful and most elegant I have seen. During its inauguration in 1919, it was recognized as the most beautiful capitol in the country. While the capitol building is already worth visiting during the day, it is most beautiful at night. Its wooden interiors, a winding staircase, the official provincial seal, and chandeliers make for the interiors’ simple elegance. 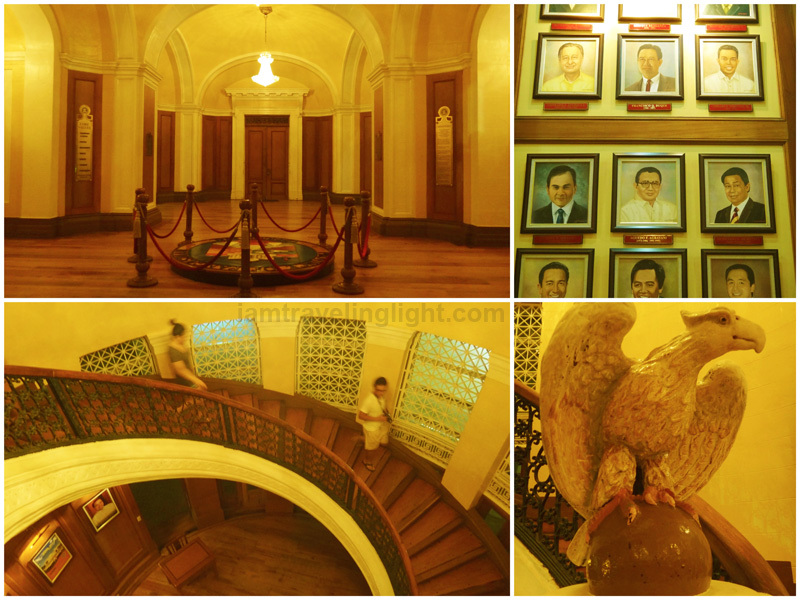 Aside from its winding staircase and provincial seal, also noticeable are the eagle carving at the stairs’ banister, and the photos of Pangasinan leaders. 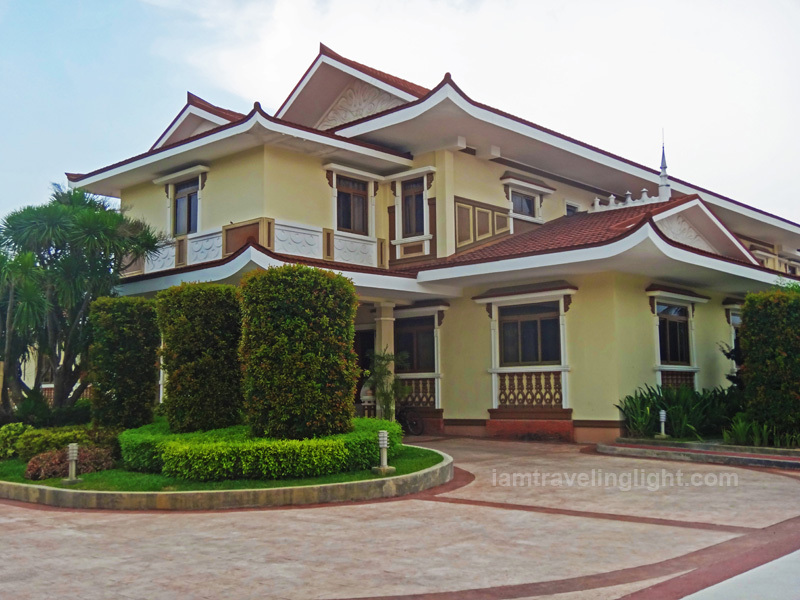 Lingayen is the hometown of former Philippine President Fidel Ramos, and his childhood home can be found on Primicias Street, in the corner of The President Hotel inspired by him and built on their family property. The house is already a re-construction of the original, which was destroyed during World War II. Some of the furniture and family memorabilia have been saved, though, and is now displayed in the restored house. During our visit, we were toured by the very friendly caretaker, who was a neighbor and friend of the Ramos family. Tours of the Ramos house can be arranged through the tourism office in the capitol building. Where the Ramos couple raised their children, one who would become a senator and ambassador, and the other the country’s president. The house is made of mostly hardwood as well as wooden furniture. Some of the Ramos family’s memorabilia. The picture on the bottom right is the young Fidel Ramos. 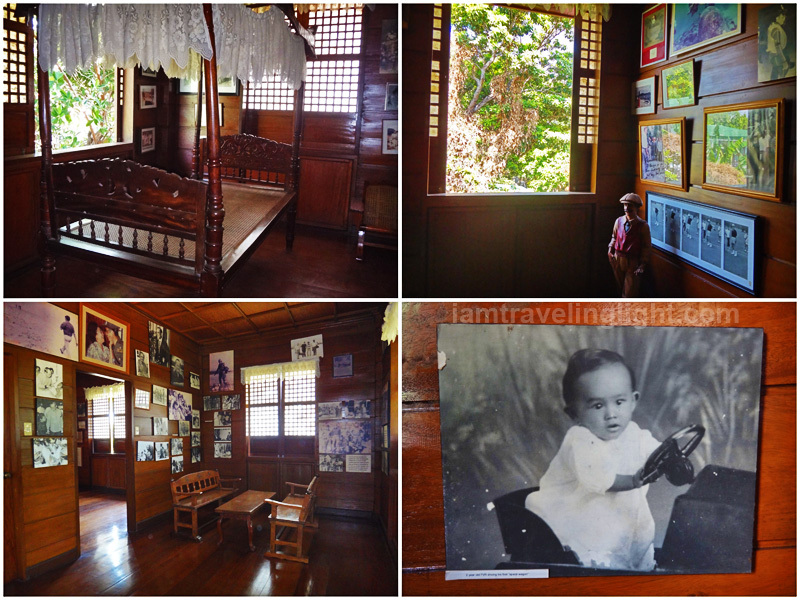 A suggested side trip: Aside from the Ramos House, there are other old, ancestral homes of Lingayen families. In fact, just one vacant lot away from the Ramos House is the home of the Cruz family. I got to chat with the friendly caretakers and see the interior, which houses old furniture too. They could not tell me the exact age of the house, but they said it was built before World War II. 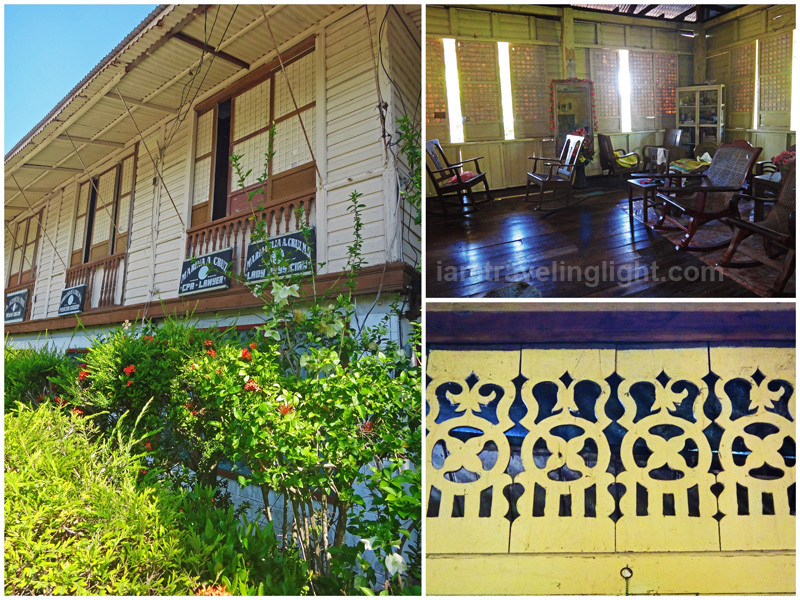 A beautiful old house almost just beside the Ramos residence. 4) Capitol Beach and Baywalk The beach is just a five- to ten-minute walk from Urduja House. It is a long stretch of beach with powdery gray sand, perfect for walking barefoot. For a public beach with free entrance, it is well-maintained and quite clean, at least during our visit. It is also a nice place to hang out and people-watch. Beachgoers park their vehicles along the shore and have picnics, food carts and roving vendors sell snacks, and skim boarders frolic in the waves. For those who want to sit on the shade, there are cottages near the coastline. The beach is actually part of the shores of Lingayen Gulf, where US and Australian forces battled with the Japanese during World War II. 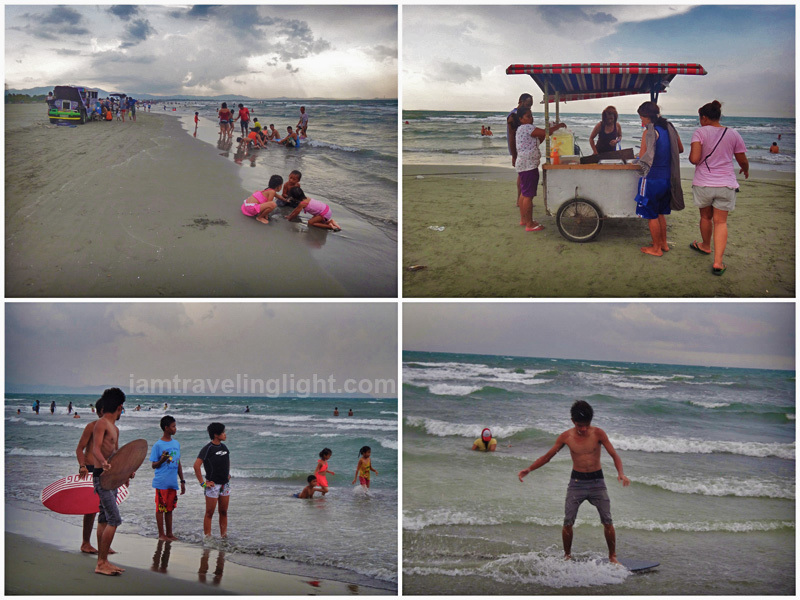 Lingayen’s beach is a great place to hang out and people watch. 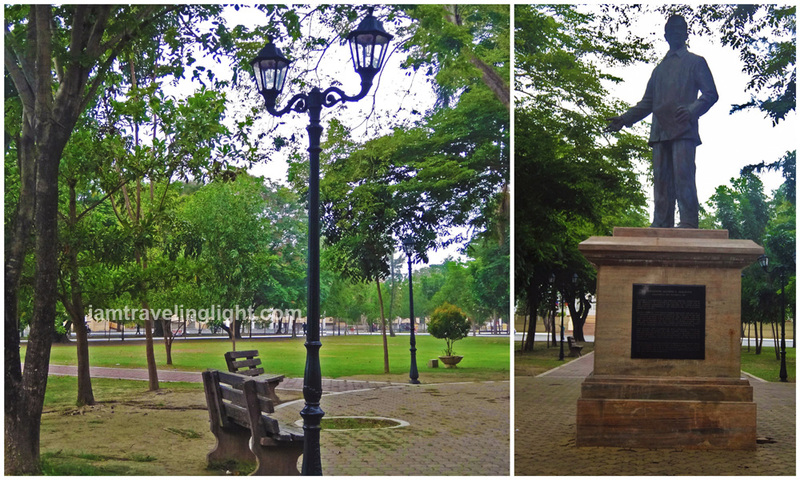 5) Aguedo Agbayani Park and Veterans’ Memorial Park The capitol building is sandwiched between these two parks, so if you are visiting the capitol, why not walk around these parks, too? Aguedo Agbayani Park has plenty of trees and benches and is perfect for a short break during your day trip. 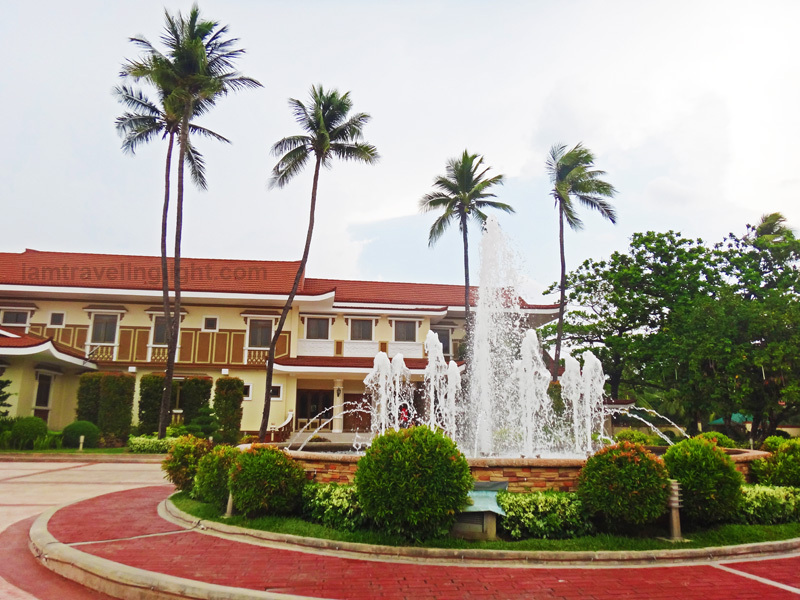 The park is named after one of the previous Pangasinan governors. 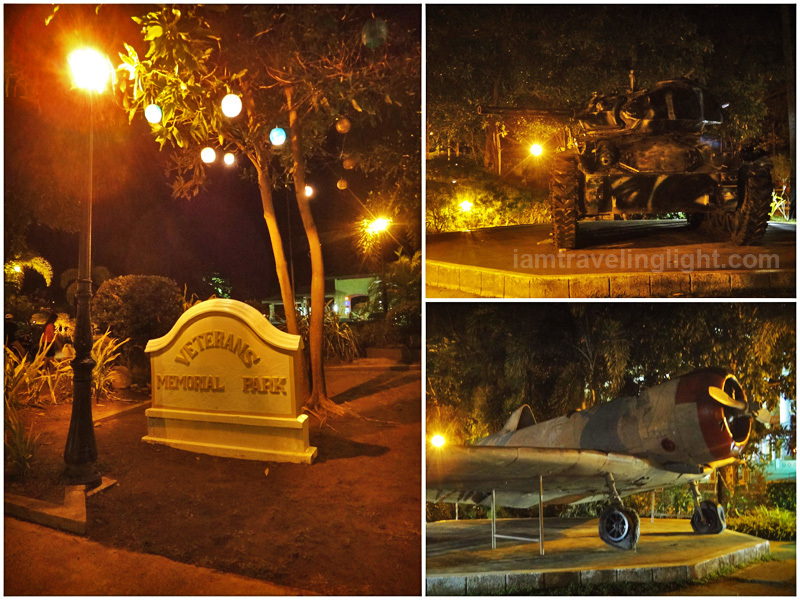 Veterans’ Memorial Park, meanwhile, which displays life-size war weapons, was built to honor the war veterans of the Lingayen Gulf landing. Both parks, with their soft yellow lighting, are also beautiful at night. Aguedo Agbayani Park is a place of quiet green leading up to the capitol building. It’s easy to see that this park is dedicated to war veterans. 6) Sison Auditorium Another example of American architecture, this structure is quite a sight with its arches and columns. Inside, the walls and ceilings are a beautiful geometry of concrete, wood, and glass, with a majestic chandelier hanging from the highest point of the ceiling. 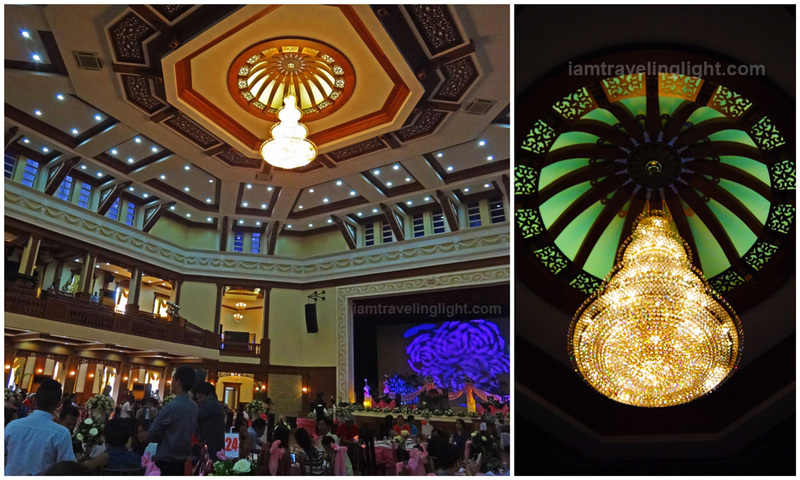 Sison Auditorium is the famous Lingayen venue for wedding receptions, parties, and other events. In fact, this is where the wedding reception of our friend was held. 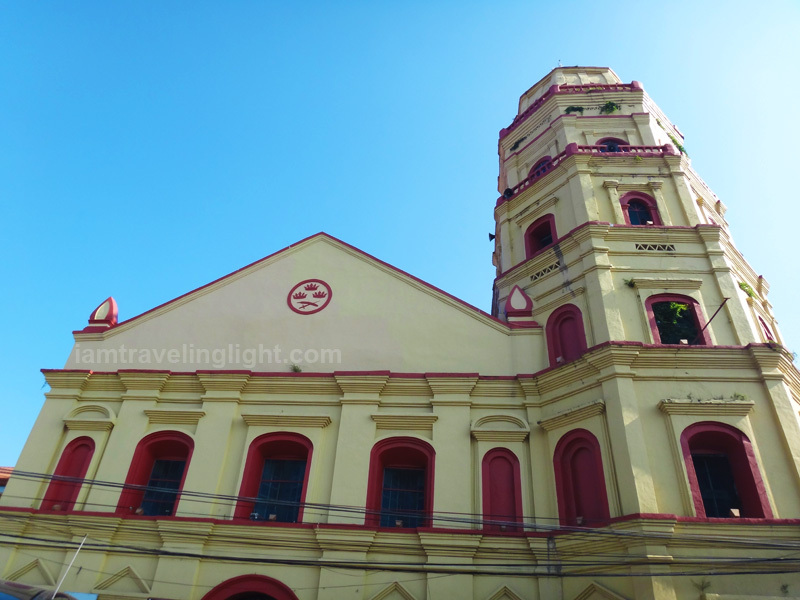 7) Lingayen Church (Epiphany of Our Lord Parish) Said to be built in 1710, this church was re-constructed after it was partially destroyed by World War II. Its centuries-old bells, though, are intact, but are no longer used. According to the church’s blog, the bells are housed in the church’s museum, which we were not able to visit during our stay. Most of this old church has been re-constructed, but its bells are centuries-old. 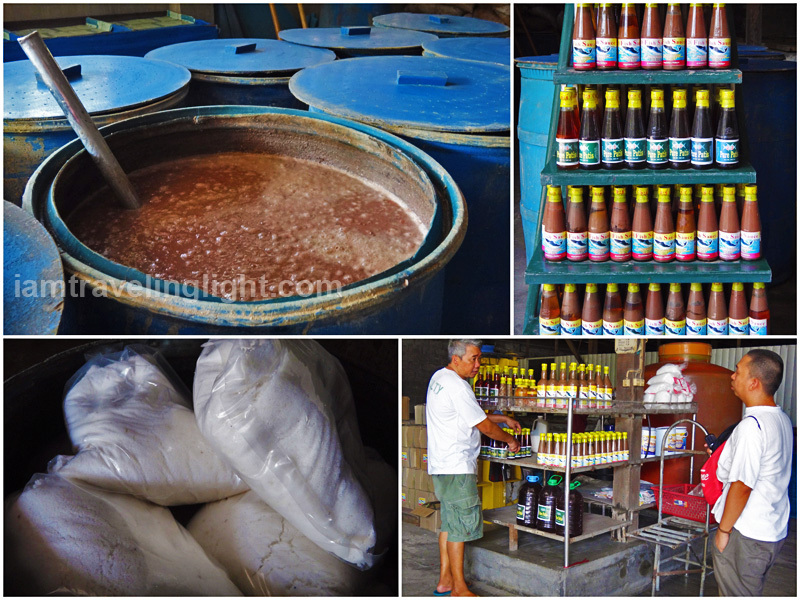 The long-time workers in D & S bagoong factory gamely showed us both the finished and “in-progress” products. HOW TO GET TO LINGAYEN, PANGASINAN: Take a Lingayen-bound bus from Edsa. My friends and I rode Victory Liner, which has trips leaving almost every hour from its Cubao terminal, though there are also Lingayen trips from the Pasay terminal. Travel time is around 5 hours. Those who need an Internet connection will be happy to know the bus has Wi-Fi. I usually ride Victory Liner buses for my northbound trips. On this particular trip, I am grateful that my tickets were sponsored. SUGGESTED ITINERARY: Walk along the parks in the early morning before going inside the capitol building. 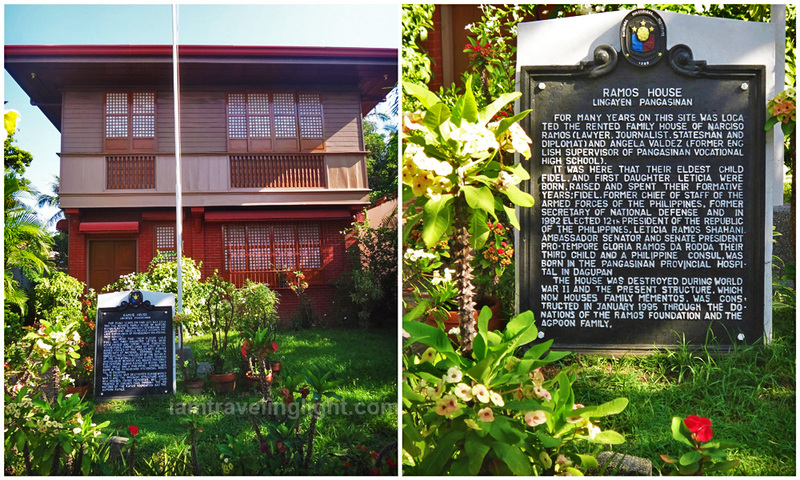 Then, go to Ramos House (just a short tricycle ride or a five- to ten-minute walk from Aguedo Agbayani Park). Afterwards, go to the bagoong factory, buy your bottles of patis and bagoong there, and bring them back to your accommodation (this is what we did) before going out to have lunch. Then, visit the Sison Auditorium and Lingayen Church (both just a short tricycle ride away) before taking a tricycle to Urduja House. From Urduja House, walk to the beach. You can also have your dinner in one of the outdoor food stalls with tables there. From there, walk along the parks and see the capitol building’s façade again, which is most beautiful at night. An alternative to this itinerary is to start your day early on the beach, followed by Urduja House and then Ramos House. The rest of the itinerary is the same, except that the parks and capitol building are last instead of first. If you are quick, the above can actually take a half-day tour (assuming you start very early). But if you want to explore at a leisurely place, it is best to do it the whole day. BUDGET: As you can get around town by tricycle, you will need less than Php100 to get around town. Add to that at least a Php100 budget for each meal. This was what we spent for lunch at Consuelo Hotel fastfood (just across Aguedo Agbayani Park) and dinner at one of the food stalls near the beach. If you would like to buy bagoong, the small bottle usually starts at Php12. 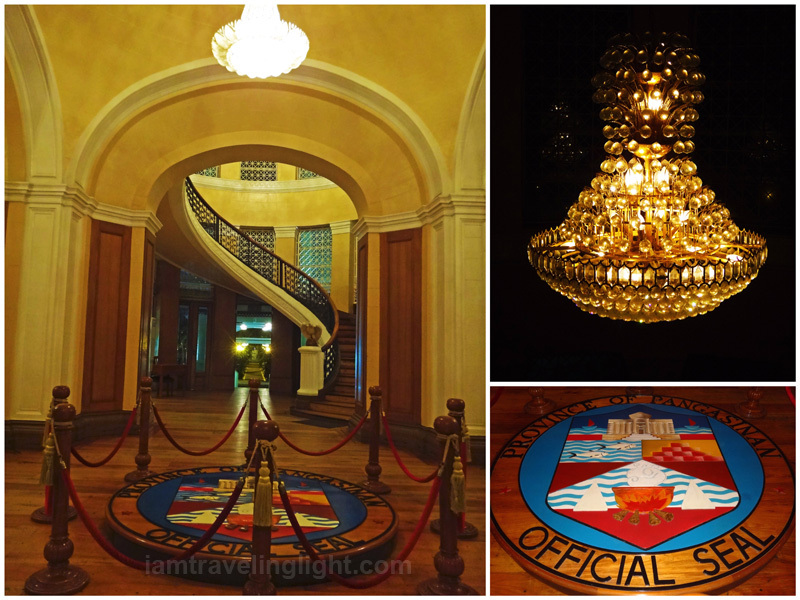 WHERE TO STAY: I recommend The President Hotel, whose rates start at Php800. It is a simple and homey hotel. Plus, Ramos House is just around the corner. It is also a five- to ten-minute walk from Aguedo Agbayani Park. 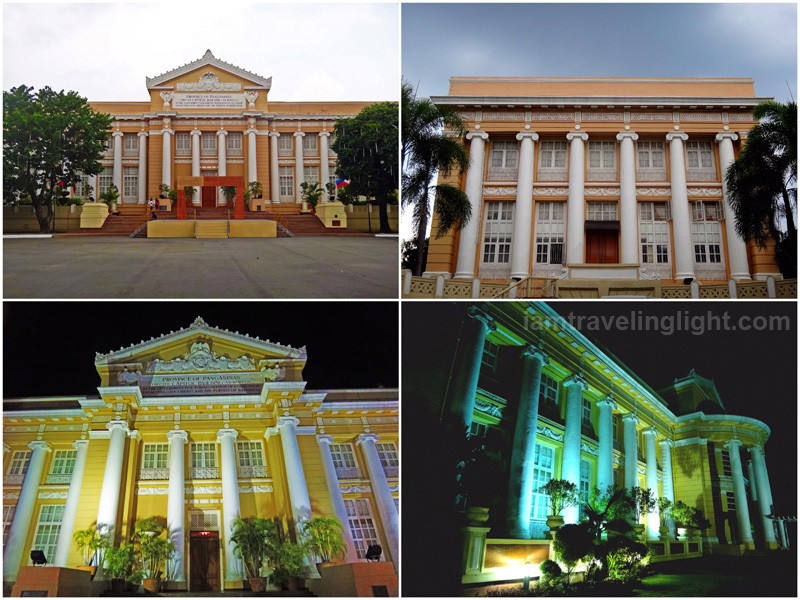 we have been to Lingayen and saw the beach and the Capitol building and were impressed by its grandeur… now, after reading your post, we have more reasons to go back to see the other interesting places you featured. indeed, our country has a lot to offer for us to enjoy. Hi Claire! I enjoyed taking a look at your pictures. Hope you get to visit the Hundred Islands too in our hometown in Alaminos, Pangasinan. 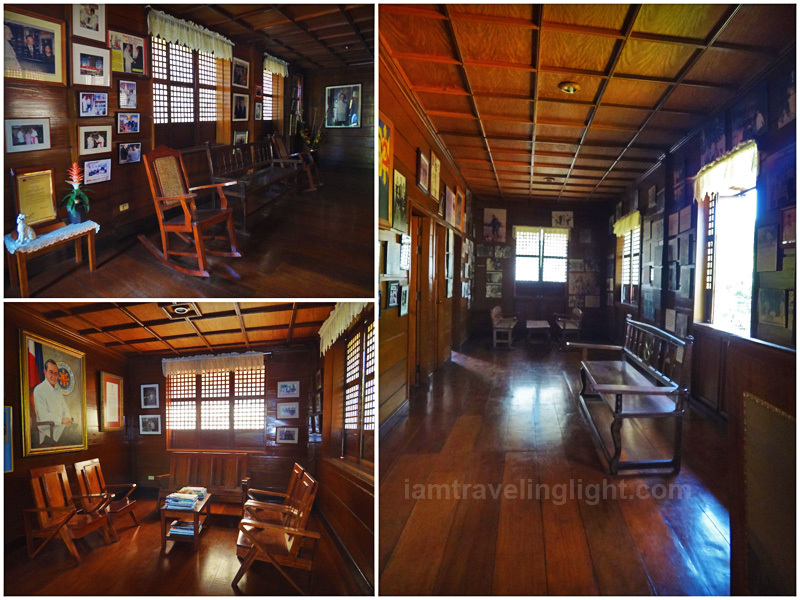 Can I also ask for your permission if I could post the ancestral house (both exterior and interior) of former Pres. Fidel Ramos at the facebook page of Ancestral Houses Philippines (AHP). 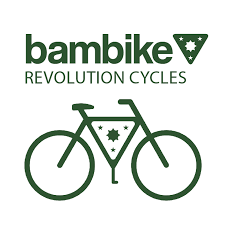 You are most welcome to join that page. Thanks! Hi,Cynthia! 🙂 Sure, you can share the photos. Kindly link to my blog entry. Thanks! I’m happy you shared this experience. Even happier that you got the vibes of our home, our pride and love it. We’ll be the happiest if you can visit us at the Provincial Tourism Office at the Malong Building of the Capitol Building when you return for more places to explore and for more new friends to make in Pangasinan. Balbaleg a salamat (thank you very much)! 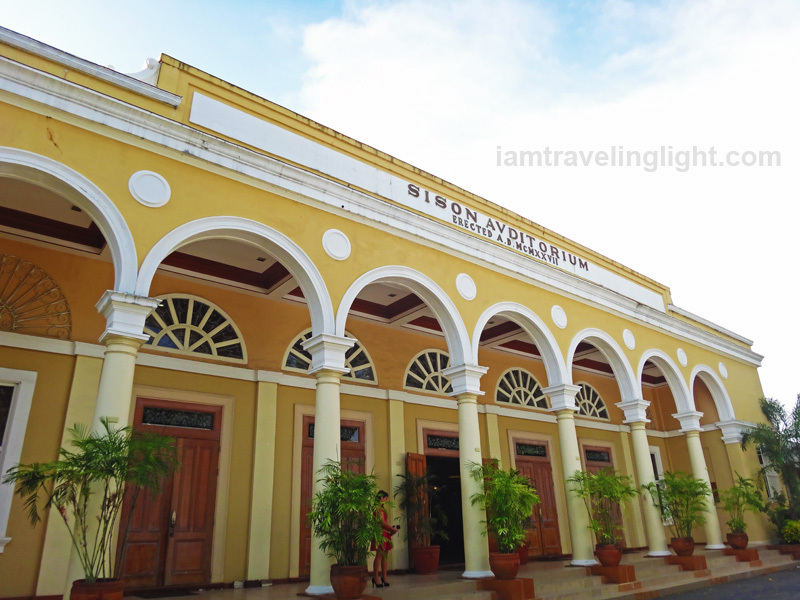 Thank you very much for featuring the beautiful and historical spots in our beloved capital town of Lingayen. Someday in the not too distant future, I will, together with our family and friends, visit those nostalgic places and many more in the surrounding areas. Again, thank you. We are very proud to be a Lingayense. Hello Pangasinan tanong ko lang po sana.. Kanino po kami pwede makipag Coordinate ? ..Our church will be having an outreach po .. and BAptism at ang napili po namin na Place is Lingayen Pangasinan. May bayad po ba ang Entrance and Cottage dito ? Hi! I am not sure about the price but I have e-mailed you the e-mail address of a tourism staff who also commented on this post. Hope that helps. hai.. can i ask how much is a cottage at lingayen beach? hi tanong ko lang po kung mag kano po yung rent sa urduja palace for wedding reception beach wedding po kase . Please contact them directly. Hindi ko rin po alam ang rental rates nila. Salamat.